Psycho Suzi’s Motor Lounge – A giant, tongue-in-cheek tiki bar with great décor, a riverfront patio and yummy burgers, pizzas and Midwestern fare like fried cheese curds. 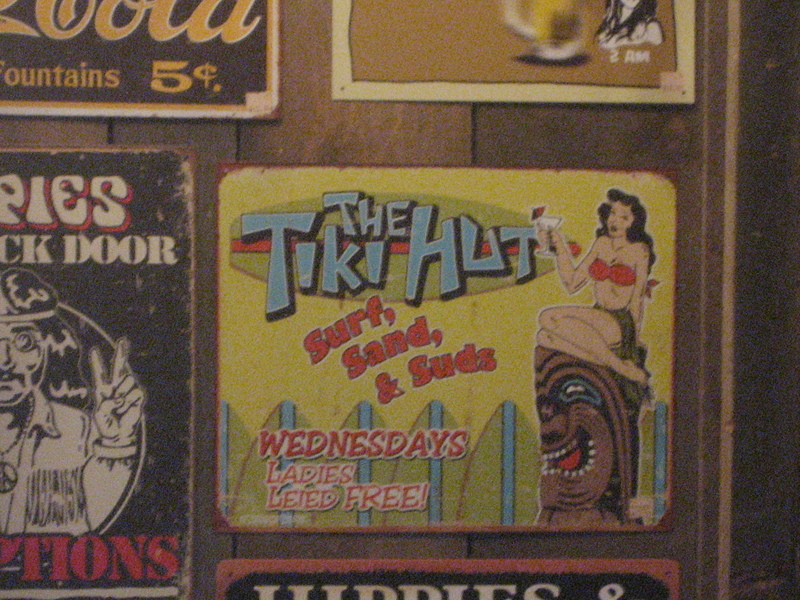 It’s on my list of the Top Tiki Bars in the United States. Shangri-La Bars Upstairs at Psycho Suzi’s – Upstairs from Psycho Suzi’s are three more themed areas with their own cocktail menus — Forbidden Cove, Ports of Pleasure, The Shrunken Head — that are only open on Friday and Saturday nights. 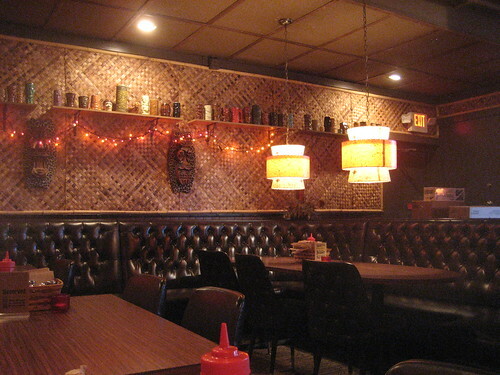 Torpedo Room at Eat Street Social – This tiki pop-up serves “Minnesota exotic” cocktails during the fall season. Psycho Suzi’s Gift Shop, Minneapolis – An awesome shop stocked with signature Psycho Suzi’s tiki mugs and t-shirts. Old Liberty Shoppe, Park Rapids – Just happened to find a lone tin tiki sign in this Americana store way up in northern Minnesota.